The scope of certification: sales of steel, steel products as well as stainless steel and aluminium. We have the pleasure to inform, that Cromo-Stal Sp. z o.o. received The "Business Gazelle" Certificate 2014, 2015, 2016 and 2018 - award for the most dynamic small and medium companies. It's the contest, which is organized by the economic magazine "Puls Biznesu". Our company was also awarded with Certificate of Business Credibility for four years in a row: 2010, 2011, 2012, 2013. See the certificate approving reliability and promptness of our company. We are the sponsor of Junior World Champion in Billiard! 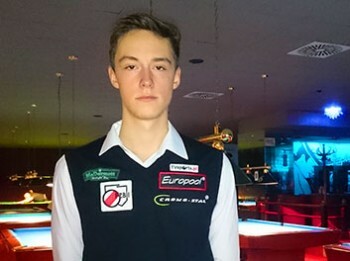 Cromostal is the sponsor supporting young billiard player Daniel Macioł from Mikołów. 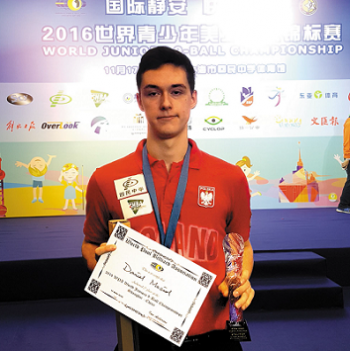 In 2015 during Junior World Championship in China, Daniel won gold medal and the title of Junior World Champion U17. He has also been chosen Youth Player Of The Year 2015 BY EPBF (European Pocket Billiard Federation). In 2016 during the next championships in Mikołów, already in the elder age group U19, he won silver medal and the title of Junior World Runner-Up. Daniel won brown medal in Junior World Championship from his debut in 2014. This price has not only been the best performance any Pole billiard player has ever achieved. but also one of the best performance in the history of Junior World Championship in Billiard.